Turkey hunters recognize that understanding wild turkey behavior, good calling and an effective shotgun pattern are all keys to success. But practicing safe turkey-hunting strategies can also put you in the best position to take home a gobbler. The following tips will ensure turkey hunting remains a safe activity while setting you up for success. Gobblers have sharp eyes, so staying concealed is critical. When turkey hunting, wear camouflage or drab green and brown clothing, including gloves and a face mask. 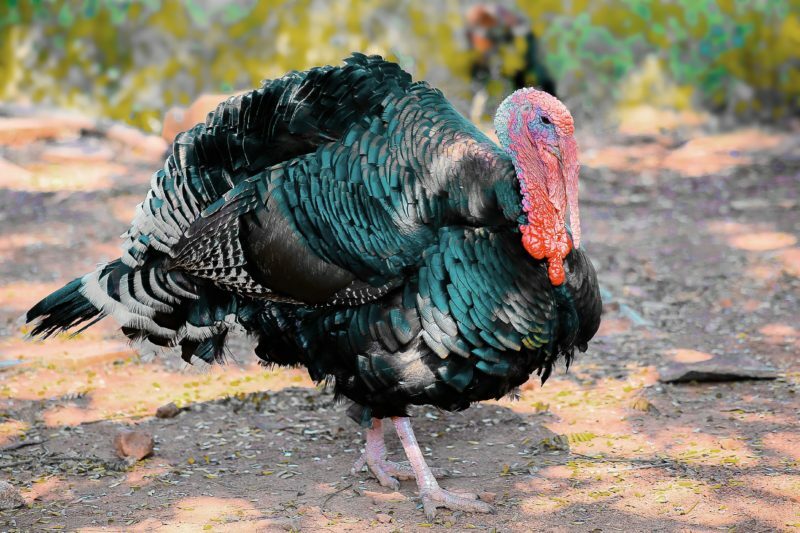 Never wear red, white, blue or black, which are colors associated with a gobbler. Replace those white socks and T-shirts with camo or earth-tone base layers. When calling, always set up against a tree taller than your head and wider than your shoulders before you start calling. Doing this will provide you with protection and make you more prepared for a gobbler that shows up more quickly than you expected. Also, avoid setting up in thick cover. Instead, select open areas, eliminate movement and rely on your camouflage for concealment. Don’t try to sneak up on a gobbler. You might think you’re stalking a turkey, but you could actually be slipping up on another hunter. Always adopt a skeptical attitude when you hear a turkey calling because good callers can sound as convincing as actual turkeys. In addition to safety concerns, the odds are against you when it comes to sneaking up on a gobbler. Turkeys have sharp eyesight and hearing. You’re better off setting up and calling a bird to you. Even when hunting on private land, don’t assume you’re the only hunter in the area. If another hunter approaches your setup, remain still and speak in a loud, clear voice to announce your presence. Never move, wave or make turkey sounds to alert another hunter of your presence. Before you pull the trigger, demand multiple points of identification to be absolutely certain it’s a legal turkey. Do you also see the turkey’s beard? Feet and wings? Never shoot at sounds, color or movement. Always practice the basic rules of firearms safety. Review the rules at the Florida Fish and Wildlife Conservation Commission website.